• L-Theanine is Suntheanine® brand from Taiyo International, Inc. which has been extensively researched. Research studies on Suntheanine® include reducing stress and irritability, promoting relaxation, sleep quality, learning and concentration. 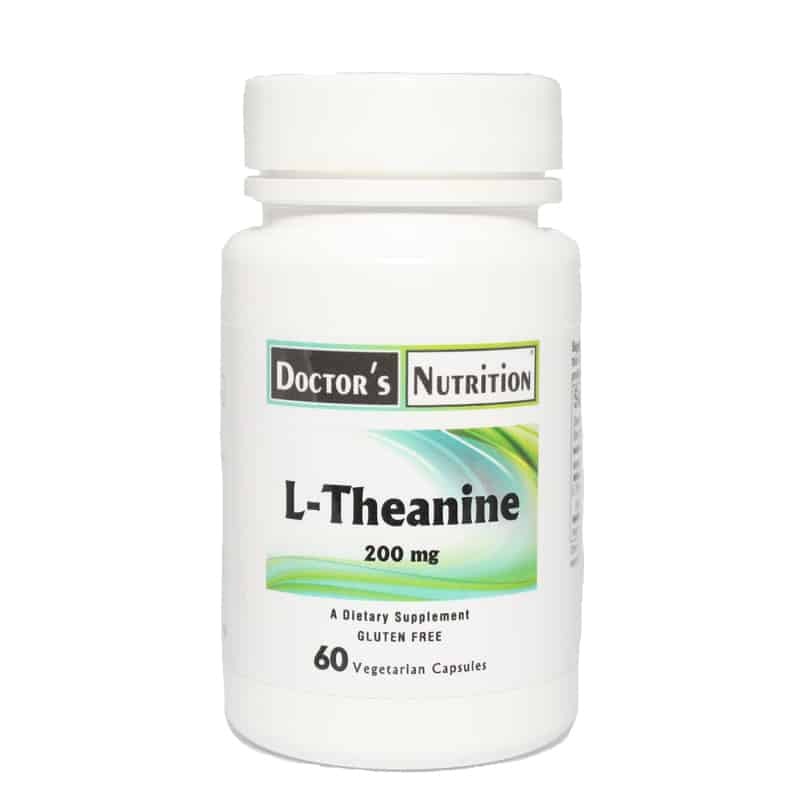 * Suntheanine® brand L-Theanine is structurally identical to the L -Theanine compound naturally found in green tea. 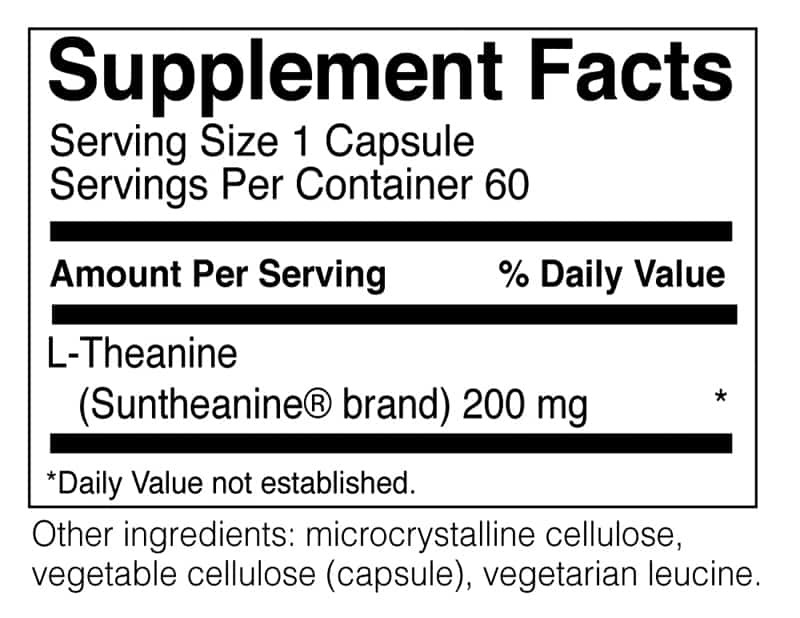 It should be noted however, that all research mentioned was conducted using Suntheanine® brand and not L-Theanine from Green Tea Extract. Suggested Use: As a dietary supplement, take 1-2 capsules every 4-6 hours, or as professionally directed. L-Theanine does not have to be taken every day all the time, can be used as needed.